If you’re thinking about building a custom home but aren’t quite sure if it’s the right choice for you, below are 5 factors to consider to help you decide. If cost is your main concern, then you should buy an existing home. It’s almost always cheaper to buy a home, even in a tight market. Building is expensive, and you must be OK with the fact that you will likely spend more than your home will be worth initially. Mr. Smith spent $600,000 building a custom home and upon completion its market value is $550,000. If you will be in the home for less than 5 years, then you may be subject to the financial discrepancy described above. However, the good news is that it generally takes only about 5 years for the initial cost of building to catch up to the current market value. The above financial issues can create uncertainty in the minds of people considering building a home but finances alone is rarely the only reason a person builds a home. For those who choose to build, there is a significant value placed on the “quality of life” factor. The monetary value for this is difficult to measure, and it’s different for every person and situation. Only you can determine its value for you. Some people are perfectly happy buying. They know they can find what they want and need in an existing home, or their main priority is living in a specific location where building isn’t an option. Others are not able to find a house on the market that meets their needs. The things they value most can’t be found in an existing home, so building a new home is the best way to get everything they want. The remaining factors relate to your “quality of life” values. If you know you want to live in the city or in a mature, established neighborhood, then building may not be for you. It can be challenging to find a location to build a new home within city limits or in older neighborhoods. It is, however, possible under some circumstances. New, custom homes are most often built in new subdivisions on the edges of an established city or in more rural, undeveloped areas. If the idea of living in a new development appeals to you, or if you want remote and private living, then building is a great option. Building allows you to choose the exact location you will live. Whether it’s a new family friendly subdivision, a hilltop estate with amazing views, or acres of land in the private countryside; building a custom home allows you to choose the perfect location for you. When you build, you will live in a home that is pristine, polished, and unlived in. Everything is brand new in a custom built home. New appliances, fixtures, electrical, plumbing, HVAC, flooring, cabinets, roofing, and more. Not only does this mean everything looks great, it also means less maintenance because nothing needs to be repaired, updated, or replaced for a very long time. Most often, new is also more efficient. From appliances to insulation and windows; a new home will have the most up to date and efficient products which take advantage of the most recent building technology. If you are energy conscious or if you desire “green” living, building a new home will allow you to install the most energy efficient options available throughout the home. The family of ten who needs the big mudroom with built in storage, plenty of bedrooms and bathrooms, and a spacious laundry room with two washers and dryers. The outdoorsman who needs acres of land and 4 garages for his bikes, boats, and recreational vehicles. The couple planning ahead for retirement who want single level living, guest space for their children and grandchildren, and a heated pool for their morning swim. 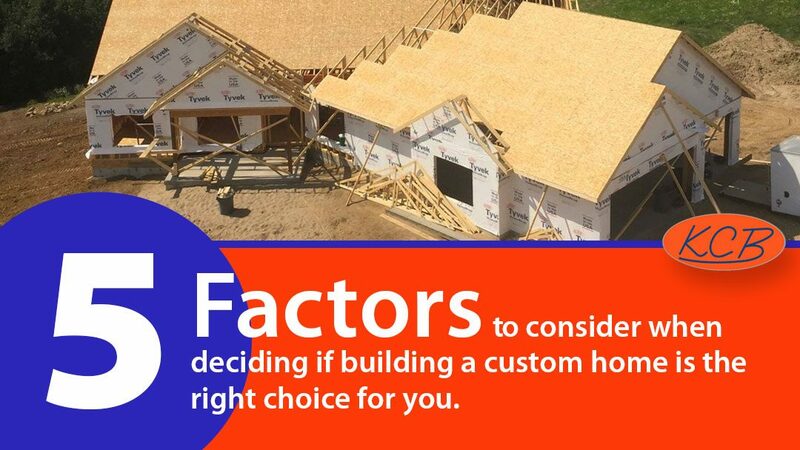 Building allows for all their unique needs to be met because they can design and customize every aspect of their homes. To determine if building is right for you, you must decide what you value most and how the “quality of life” factor relates to you. 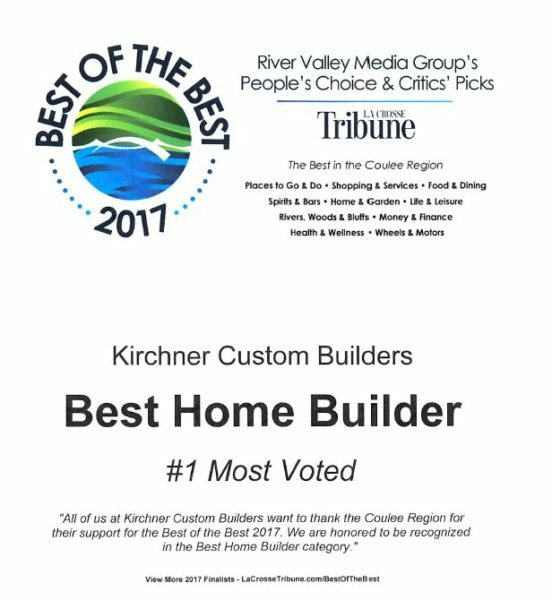 People who build homes put the utmost value on having a new, personalized, custom home that fits their lifestyle, with everything exactly as they want it, and located exactly where they want to live. They recognize that they must design and build their home in order to attain the quality of life they desire. Get started with your project. Big or small. No consultation fee. No obligation.